While posting lies she has manufactured in her head,calling ME felon and criminal with a record. But WHO has a mug shot? Not me! HAHAHAHA. KARMA at work. 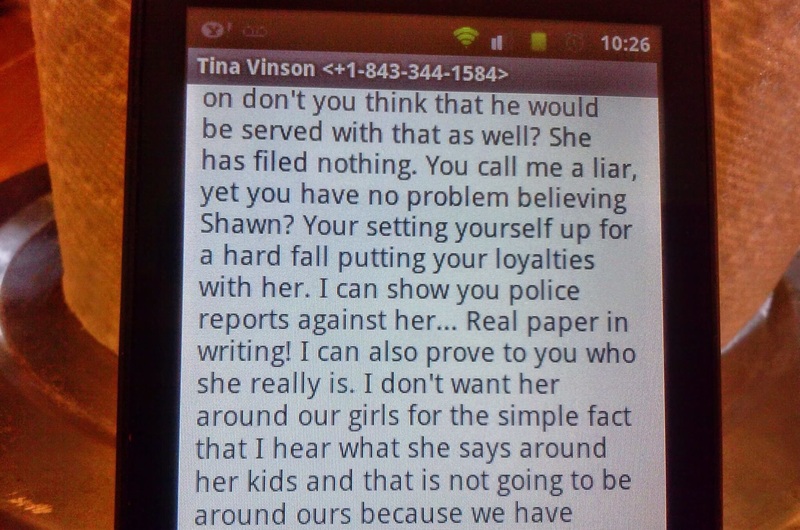 She TEXTED her Ex husband using MY LAST NAME as her own and tells him I AM a criminal and she can prove it?! I’ve NEVER been arrested in my life! oh my goodness! im so sorry you are going through this… shes CRAZY!